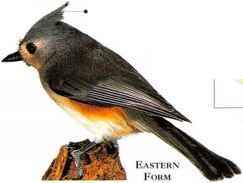 Naturally a bird of woodland, forests, and scrub, the Tufted Titmouse is a frequent visitor to gardens, particularly where winter food is provided. 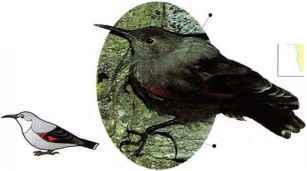 It is seen in pairs and small parties, also joining mixed flocks, searching for insects, seeds, fruit, and nuts. • NliST A cup nest made of hair, wool, leaves, and grass, placed in a tree hole, post, or nest box. • Distribution s.e. Canada, e. usa, and n.e. Mexico. 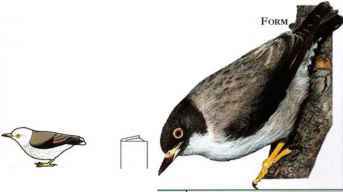 Climbing in short hops up rock faces, this bird uses its long, curved bill to probe crevices for insects. • NliST Placed in a rock crevice, the nest is made of roots, grass, and moss, and lined with wool and hair. From Europe to E. Asia. Eurasian Nuthatch l Istially seen running along tree branches or up and down the trunk in search of insects, this bird also takes nuts, which it wedges into a crevice and breaks open with blows of its bill. • NliST A cup nest made of bark flakes, in a tree hole The entrance is often plastered with mud to rcducc its size. • DISTRIBUTION Much of Kurasia. 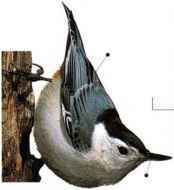 Common in deciduous woodland and mixed forest areas within its range, the White-breasted Nuthatch characteristically works its way up, down, and across tree trunks in all directions as it forages for small insects. 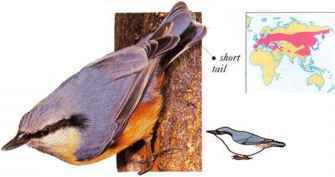 Like other nuthatches, it will also take nuts, which it hammers open with blows from its stout bill. Its song is a series of low, nasal whistles. • NliST A hole in a tree, often lined with bark chippings and softer materials. • DISTRIBUTION Parts of S. Canada, much of USA, and mountains of Mexico. This small and gregarious species forages actively among the branches and twigs of trees, feeding on invertebrates. Plumage colors on the head, back, and wing stripe vary with the subspecies. • NliST A cup nest made of insect cocoons, spiderwebs, hair, and wool, camouflaged with bark flakes, and built into an upright fork of a tree. • DISTRIBUTION Much of Australia and Highlands of New Guinea. This gray-brown bird is usually seen climbing a tree trunk in short spurts. 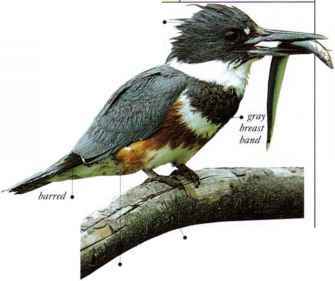 It pauses to feed, searching a fissure in the bark for spiders or insects with its tweezerlike bill. While stationary, it presses its stiff, spiny tail against the bark for balance. It then swoops down low before climbing the next tree. • NEST A pocket-shaped nest made of plant fibers, placed behind loose-bark, in a split tree, or behind ivy. • dis tribution Pans of w. Europe and from E. Europe through C. Asia to Japan.